Two undergraduates — with a mobile app to take the pain out of parking for drivers and lot managers — claimed the $10,000 first prize in the 18th annual Big Bang! Business Competition at the University of California, Davis, tonight (May 24). Their venture, Japa, uses smart data and advanced analytics to provide drivers and lot managers with real-time parking information. “Our vision is simple: to solve parking problems and to make smart cities and university and corporate campuses a reality,” said Japa CEO Mathew Magno of Rancho Cucamonga, California, a UC Davis senior majoring in computer science. The other team member is Charles Chen of Bellevue, Washington, who is a UC Davis senior in computer science engineering. In the main Big Bang! event, five finalists from among 62 entries presented their ventures (one by video). They were judged based on their integrated strategy, steps toward implementation and market opportunity. Prizes for Big Bang!, including its pitch and poster competitions, totaled $112,000. 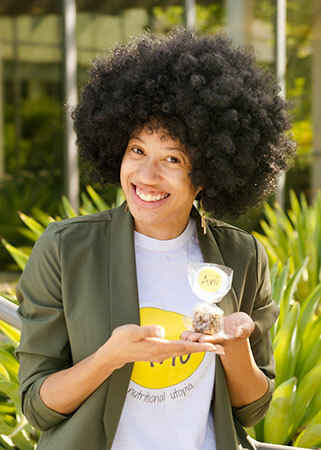 With a total of $17,500 in prize money, UC Davis postdoctoral scholar Denise Bronner had the highest winnings of the night for Anu Snacks of Sacramento, which makes all-natural snacks from the spent grain of microbreweries. She won the $2,500 People’s Choice Award, voted by the audience at the ceremony; the $12,000 Food and Agricultural Sector Award; and the $3,000 Food, Ag and Health Innovation Award. Big Bang!, organized by the Mike and Renee Child Institute for Innovation and Entrepreneurship at the university’s Graduate School of Management, has been helping entrepreneurs start or grow business ventures for almost two decades through the competition itself as well as the workshops and mentoring it offers. It is open to the public. Magno, who co-founded the PLASMA accelerator for entrepreneurs on campus, said participating in Big Bang! helped advance Japa and extend its network of entrepreneurs in the Davis community. Japa also received a $2,500 microgrant in this afternoon's Little Bang! Pitch and Poster Competition and a $1,000 microgrant through participation in the January round of Little Bang!. Tony Simon, associate director of behavioral sciences at the UC Davis MIND Institute and professor of psychiatry and behavioral sciences at the UC Davis School of Medicine, is the CEO and chief science officer for second-place winner Cognivive. The prize money will help Cognivive build and test new, clinically focused prototype treatments. “In a year we hope to have a full-time team of five to 10 people and real treatments undergoing testing with patients and users in a range of environments,” Simon said. An additional $43,500 in cash was awarded for Big Bang! and an additional $13,500 in prizes for its pitch and poster competitions this afternoon. An additional $19,000 had been awarded in the December and January rounds of Little Bang!.